It seems that almost every year a new viral epidemic emerges, leaving people around the world feeling frightened and helpless. In many instances, no vaccine or medicine exists to prevent or treat the outbreak, and developing a virus-specific antidote, if one can even be found, may take many years. In the meantime, what are we to do? Natural-health advocate Sorrel Davis explains the nature of viruses in terms laypeople can understand and explains why these often pathogenic organisms are so tenacious and difficult to defend against. She also discusses established treatments and prevention methods and provides simple techniques available to everyone to guard against viral infections. The heart of the book covers the promising herbs being studied for their antiviral capacities and how theyre currently being used by herbal practitioners and alternative healers. The naturally active antivirals in these plants may help fill the gaps in conventional medicine by boosting human immunity against harmful microbes and lessening the severity or duration of an infection. Over a century ago, health visionary Arnold Ehret developed a logistical course in healing the bodythat has since helped untold numbers of people achieve their health goals. Ehret’s understanding of dietetics and his multidimensional system based on faith and science was decades ahead of its time. In this abridged edition of his original work (see page 9), Ehret identifies health-destructive foods and proposes a diet based on the laws of nature to cleanse, repair, rebuild, and maintain a healthy body. Special menus help readers replace harmful foods with health-supporting alternatives. Ehret also provides a detailed explanation of the therapeutic value of fasting and includes several recipes that prevent mucus. In Immunising the Children of the World, Ralph H. Henderson tells the story of WHOâ€™s contributions to the global efforts to ensure worldwide immunisation. He served with the Expanded Program on Immunization (EPI) during its formative years as Programme Manager and then Director from 1977 to 1989 before becoming a WHO Assistant Director-General from 1990 to 1999. Written in the form of a professional memoir, the author describes the technical details and political intrigues behind these efforts. The book begins by describing his service with the Centers for Disease Control and Prevention (CDC) in West Africa. It concludes with an account of an attempt to establish for WHO the â€˜Health Leadership Serviceâ€™, a young professionals programme modelled on the Epidemic Intelligence Service of the CDC. His story is supplemented with posters, photographs, and detailed charts and figures that bring to life a largely ignored public health triumph. Engaging and informative, this book will be of interest to students, scholars and researchers of public health and medical sociology. Tuberculosis in India is one of the most frightening challenges to public health today. Recent WHO figures state that in 2013, India had 2.6 million cases of tuberculosis, of which 80 per cent were new, and the disease claimed nearly 300,000 lives. This means that almost a fifth of the worldâ€™s tuberculosis related deaths occurs in India. Languished Hopes: Tuberculosis, the State and International Assistance in Twentieth-century India narrates and analyses the history of tuberculosis in India in the twentieth century: how the disease was â€˜discoveredâ€™, how it has been understood, and how national and international agencies have struggled to bring it under control. In this period the worldâ€™s largest vaccination campaign was rolled out in India, and new antibiotic drugs were distributed to infected Indians through the ambitious National Tuberculosis Programme. The analysis ends with the early 1990s, when Indian authorities realised that 80 years of control efforts had achieved little, and prepared to revamp the official control programme. The final section presents more promising results from the past twenty years. India is the top provider of surrogacy services in the world, with a multi-million dollar surrogacy industry that continues to grow exponentially, as increasing numbers of couples from developed nations look for wombs in which to grow their babies. Some scholars have exulted transnational surrogacy for the possibilities it opens for infertile couples, while others have offered bioethical cautionary tales, rebuked exploitative intended parents, or lamented the exploitation of surrogate mothers. However, very little is known about the experience of and transaction between surrogate mothers and intended parents outside the lens of the many agencies that control surrogacy in India. Drawing from rich interviews with surrogate mothers and egg donors in Bangalore, Discounted Life focuses on the processes of social and market exchange in transnational surrogacy. Sharmila Rudrappa interrogates the creation and maintenance of reproductive labor markets, the function of agencies and surrogacy brokers, and how women become surrogate mothers. The author argues that this reproductive industry is organized to control and disempower women workers and yet her interviews reveal that, by and large, the surrogate mothers in Bangalore found the experience life affirming. Rudrappa explores this tension, and the lived realities of many surrogate mothers whose deepening bodily commodification is paradoxically experienced as a revitalizing life development. 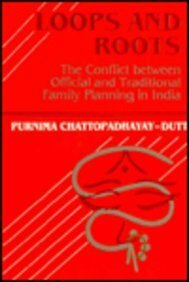 A detailed and moving study, Discounted Life delineates how local labor markets intertwine with global reproduction industries, how Bangaloreâ€™s surrogate mothers make sense of their participation in reproductive assembly lines, and the remarkable ways in which they negotiate positions of power for themselves in progressively untenable socio-economic conditions. This book would be useful to students and scholars of Sociology and Women and Gender Studies. â€˜Human Developmentâ€™ is the study of humans, from conception to death. It provides an understanding of the physical, socio-cultural and environmental influences on growth and development, and the different roles that individuals play at different stages. It also focuses on the changes that take place in individuals as they progress through the human lifecycle. Introduces the study of human development, and the various theories underlying it. Covers issues relating to sexuality, reproductive health, fertility and conception, and the influence of genetics, heredity and environmental factors. Provides detailed discussions on childbirth, care of the newborn, infant care, and developmental milestones. Explains the significance of the early childhood and preschool period. Explains the concept of â€˜middle childhoodâ€™, and the growing childâ€™s position in the larger physical and social world. 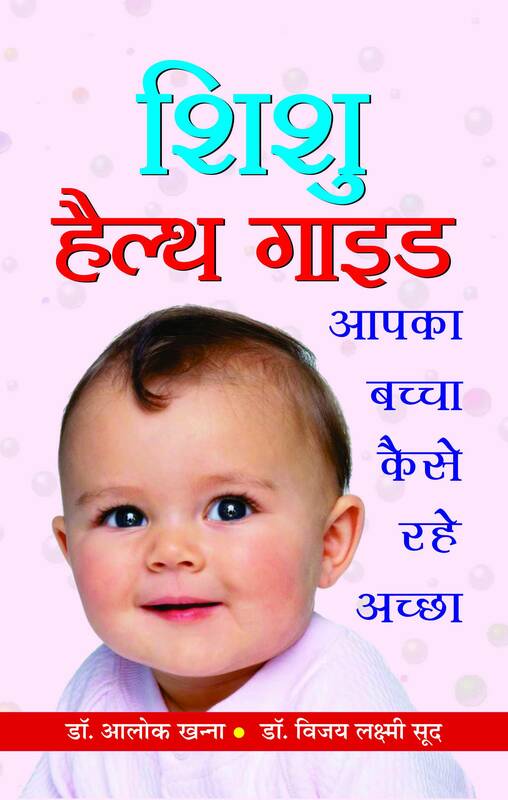 Describes growth and developmental changes during adolescence, focusing on Indian social contexts. 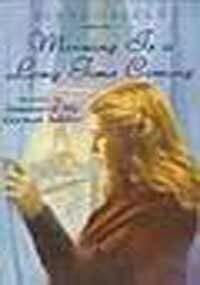 Discusses the roles and responsibilities of adults. Discusses physical changes and health issues among the elderly, as well as current demographic trends, policies for the elderly, and notions of death. 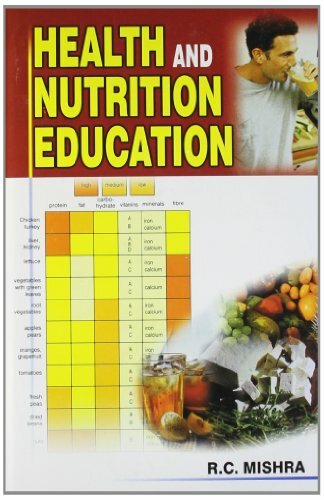 Lucid and engaging, this book will be invaluable for all students of Home Science. Child counsellors, teachers and behavioural psychologists will also find it useful. The 1901 Census of Ceylon identified malaria as a â€œbaneâ€� of the island. And through the ensuing century a story of development has sprung around the control of this endemic disease. A story of development that is scripted by a postcolonial state, as it grew to espouse a hegemonic Sinhala nationalist ideology. Decolonisation, Development and Disease looks at the dynamic interplay between malaria and its social, political and environmental milieu in Sri Lanka over an 80-year period from 1930 to 2010. The volume begins with an ethno-historical account of the accumulated body of indigenous knowledge and practices and cultural adaptation to fevers and how it saw a rapid decline with the arrival of western medicine. Then it analyses the consequences of the devastating malaria epidemic of 1934â€“35, which, affecting mainly the Sinhala South, in some ways shaped Sri Lankaâ€™s transition from a colony to a postcolonial developmental state. The book also examines the manner in which civil war (1983â€“2009) triggered yet another outbreak of a malaria epidemic. Employing postcolonial studies, post-development and discourse analysis, and examining colonial records, government statistics, oral history, ethnographic research and newspapers, this book challenges the conventional modernist wisdom relating to the role of tropical medicine in combating disease and points to the social and historical embeddedness of malaria epidemics. Arriving at a time of reconciliation in Sri Lanka, this volume will be of interest to ethnographers, social historians, public health experts, administrators and students of political science. The Indian population today has little or no access to good quality healthcare at affordable prices. Not surprisingly, on several of the basic health indicators India ranks amongst the lowest in the world. The health crisis is aggravated by a rising incidence of chronic and non-infectious diseases. The public health system is in jeopardy, due to decades of appallingly low public investments; inadequate and antiquated infrastructure; severe shortage of human resources; and inadequacies in government policies. Failed public health systems have forced people to turn to the private sector, which is costly and unregulated, with services often being provided by unqualified medical practitioners. As a result, people seeking healthcare services have the agonising choice between poor quality public facilities and costly, yet undependable private services. Preventive and primary healthcare have been marginalised, with the focus having shifted to curative tertiary care, higher importance of clinical medicine and extremely high dependence on clinical investigations. Health expenditures can be prohibitively high with the rural population and the urban poor being the worst sufferers. India is thus faced with the daunting challenge of providing Universal Health Coverage (UHC) and ensuring that all people receive good quality healthcare without facing significant financial difficulty. Twelfth in the series, India Infrastructure Report 2013|14 looks at the challenges for ensuring availability, accessibility, affordability and quality of comprehensive healthcare to all, and explores strategies to overcome the impediments along the road to UHC. 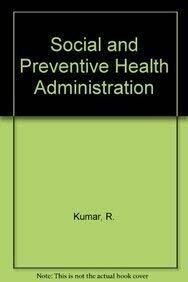 In this process, it also discusses whether initiatives taken to reduce the burden of peopleâ€™s health expenditure has yielded desirable results, how to leverage the strengths of the private sector in healthcare delivery, role played by the non-state entities in rural healthcare, imperatives of engaging with the community, and the high impact of preventive care at low cost. The report draws the readersâ€™ attention to some of the emerging issues in the health sector such as rising burden of non-communicable diseases (NCDs) and mental health, human resource crisis in health sector and health concerns of informal sector workers, and steps required to attend to them within the UHC framework. The result of a collaborative effort led by the IDFC Foundation, this Report brings together a range of insightful perceptions of academics, researchers and practitioners committed to improving healthcare practices. It will be an extremely useful resource for policy-makers, academics, researchers and corporates engaged in this sector. Offering a timely and accessible entry into the everyday world of care this book adds to the current research around dementia care in developing world contexts. The analyses highlight the complexities of care, ageing, culture and love in Indian families in an era of globalisation, money, transnationalism and migration. Simultaneously it also shows how cultural frameworks historically specific to India, such as medical pluralism and hope for a cure, the emotional currency of feeding and eating, and the powerful bonds of kinship and reciprocity, continue to structure everyday worlds and practices. Targeted to anthropologists, South Asian specialists, transcultural psychiatrists, gerontologists, public health experts and social scientists interested in the fields of ageing, gerontology and culture, this book will also have relevance to families and carers for people with dementia. In the field of medical sociology/anthropology, narratives of patients are widely used as an approach to understand social reality and lived experiences. As a theoretical and methodological entry point, they contribute towards defining the scope of discipline, point out the limitations of the â€˜positivist languageâ€™ of biomedicine, and highlight the role of culture and society in understanding health, illness and suffering in everyday lives. Inspired by the â€˜possibilities of narratives,â€™ Multiple Voices and Stories is a collection of essays on the narratives of health which goes beyond the patients and their immediate families to include midwives, traditional healers, complementary and alternative medical practitioners, health workers, to name a few. The essays are arranged thematically. The first section captures the voices of the care-providers and healers in different settings. The second section narrates the voices of the self in providing accounts of doing healthâ€”whether curing an illness episode, living with a chronic illness or engaging in everyday practices of health. The third section goes further by offering two contrasting examples on mental health narratives by showing where and why a narrative approach to medicine works or does not work. The volume also raises important questions like: What functions do these narratives perform? Do they generate evidence? If yes, what kind of evidence? How does such evidence provide an â€˜alternativeâ€™ to the evidence in biomedicine? Where do narratives stand in the practices of evidence-based medicine and public health? Bringing together essays by well-known scholars, this volume is an indispensable read for students and scholars of medical sociology/anthropology, sociology/anthropology of health and illness, public health, narrative theory, social work and nursing studies. A newly qualified doctor, Lee Jong-wook, offers his services treating leprosy patients at St Lazarus Village outside his home town, Seoul. Here he finds both direction for his future work and his wife, like himself a volunteer. Desmond Avery describes Lee Jong-wookâ€™s international adventures from Korea to Hawaii as a postdoctoral student, then to American Samoa as an emergency room clinician, and to Fiji as a World Health Organization medical officer for leprosy. As Leeâ€™s WHO responsibilities expand to other areas, they take him to the Philippines, and then to Switzerland where, in 2003, he is elected Director-General of WHO, the first Korean to head an international organisation. Through this account of Lee Jong-wookâ€™s career in health and politics, the author touches upon many important questions: Will there be a next global pandemic of deadly influenza? To what extent are AIDS, tuberculosis and malaria controllable? Who will foot the bill for polio eradication? The biography also yields important insights into international public health policy-making. The book contains 26 photographs, in colour and in black and white, on art paper, covering various phases of Lee Jong-wookâ€™s life. The authors go beyond simplistic distinctions like traditionalâ€“modern and scienceâ€“culture. They draw attention to the possibility of bridging the divide between knowledge systems, and prepare the ground for a socially and culturally inclusive approach to healing and health care. There are many infectious diseases which kill millions of children every year the world over, but polio is not one of them. 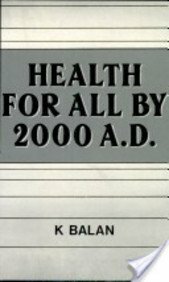 So why did the World Health Assembly in 1988 choose the eradication of polio as a global goal? This is the key question that William Muraskin asks and it inexorably leads to the unravelling of the official â€˜heroic storyâ€™ of the fight against polio. The author finds that the public health agenda of every single nation of the world was effectively hijacked by a small group of people working at the global level. They were out to show that eradication was a viable tool in fighting the disease. For this group, the disease of poliomyelitis was not in itself primarily significant but rather it was a â€˜disease of opportunityâ€™ which could be used to prove that disease eradication in general was a viable instrument of public health. Polio Eradication and Its Discontents reveals the decades-old fight between proponents of the Sabin Oral Polio Vaccine (OPV) and the champions of the Salk Inactivated Polio Vaccine (IPV). It also highlights the potential long-term economic burden on the developing world that has resulted from the vaccine choices made at the global level. for the first time, the right action for the right reasons (in contrast to miasmatic theories). Subsequent shifts in analytical approaches, fuelled in part by epidemiological transition, have established a far more statistical approach as the gold standard of evidence-based medicine, based on individual determinants. Urbanising Cholera is a revival of the eco-social approach in examining the social determinants of cholera and deals with different aspects of the problem. Taking a public health perspective, the study gives a giving a social epidemiological account of cholera with a focus on the urban poor. This book would be of interest to historians of public health, urban health practitioners including local self-government organizations and urban planners. Health, Illness and Medicine brings together a collection of writings in the sociology of medicine by eminent sociologists and anthropologists. It attempts to understand the existing and future potential of this sub-discipline in the Indian context and beyond. In doing so, the contributors engage with a range of debates on illness, health care and health policies. Commemorating Aneeta Minochaâ€™s unparalleled contribution to medical sociology in India, this study revolves around two major concerns: the position of medical sociology in sociology, and the interface of sociology with medicine and public health. Reflecting on the current debates in the field of sociology of health and illness, this volume explores a wide range of issuesâ€”medical pluralism, public health discourses on risk and prevention, family planning practices, efforts at combating tuberculosis, HIV/AIDS, organ transplantation, the relationship between illness and cultural practices, and illness narratives. The book is unique in that it brings together research studies that are theoretically informed and ethnographically grounded. High medical costs, the impersonality of technology-intensive speciality medicine and the difficulty in accessing curative primary care constitute a crisis for medicine in India. Towards a Critical Medical Practice is the outcome of a dialogue between a self-critical medicine and the new social sciences that offers original perspectives on the crisis. A set of historical studies provides fresh insights into the dilemmas that surround cholera, kalaazar, post-traumatic stress disorder, ischemic heart disease, and undernutrition in contemporary India. Another group of papers argue that the public health focus on large-scale preventive programmes has resulted in the underdevelopment of primary care in the curative mode. This deficit in curative care is targeted by the new corporate hospitals that adopt as standard an expensive and inappropriate form of tertiary care that is marketed globally. Doctors trained in a tertiary setting are ill-equipped to provide appropriate medical care in any other context. 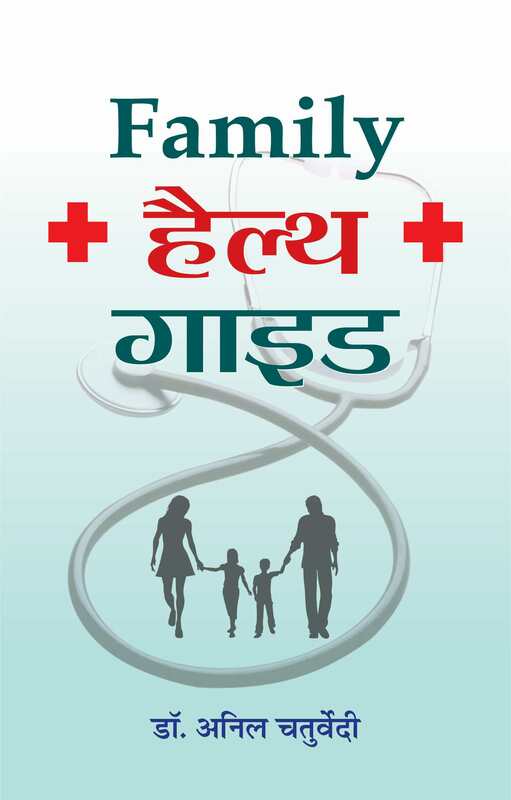 This book is a path-breaking study which captures the drama of the crisis as mirrored in the lives of the poor battling illness on an everyday basis. Doctors practice against this formidable backdrop of knowledge, orientation and elitism of modern medicine. The constant everyday work of translating knowledge and experience to address a local situation and do justice to the individual patient remains largely invisible and undervalued in modern medicine. We argue that theorising this practice, be it in teaching or in research, will open up new directions in health care and medical education. In the 1980â€™s disabled scholars in the West began to develop a radical critique of biomedical conceptions of disability that focused exclusively on the individual body and its limitations. They also exposed the failure of the social sciences to critically address what this medical understanding of disability meant, and what it excluded from consideration. Out of their work emerged what is generally called the â€˜social modelâ€™ of disability. Over the past twenty years this perspective has generated a substantial literature, much of it making use of the methods of qualitative social research. Narratives and life histories produced by disabled people themselves have a central place in the Disability Studies literature. This work has major implications for professionals in the rehabilitation field, for the social sciences, and the ultimate goal, for the full integration of disabled people into society. However almost all of if focuses on the traditions, practices and dilemmas of northern countries. In India, in Thailand and in most of Asia, the field of disability continues to be dominated by the biomedical model. Thus, â€˜disabilityâ€™ is understood as an incurable chronic illness and, increasingly, an object for medical diagnosis and investigation. Despite many positive developments, little convergence between disability politics and practice on the one hand, and sociology and anthropology on the other has taken place. Surveying the international literature on disability and rehabilitation, it becomes apparent that many studies carried out in Asian countries are designed to measure the extent of (unmet) need or the impact of services or attitudes to disabled people. Virtually no studies make use of the innovative, usually qualitative and often holistic approaches developed in Western countries over the past twenty years. 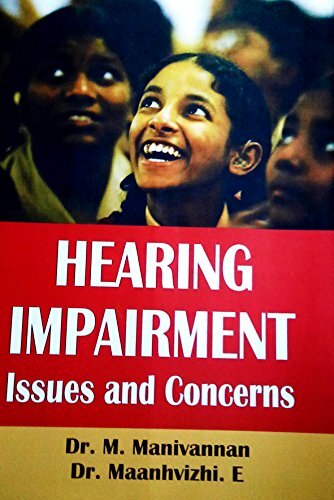 This book introduces readers in Asian countries to the recent disability literature of the West. The editors hope that it will inspire new thinking among social scientist, rehabilitation professionals and organizations of disabled people themselves that could further the empowerment of people with disabilities. The hospital has for many years been the symbol of modern, scientific medicine. Indeed, it was in the hospital that modern Western medicine was born. But until recently we had little idea of how or why these iconic medical institutions developed outside the Western World. 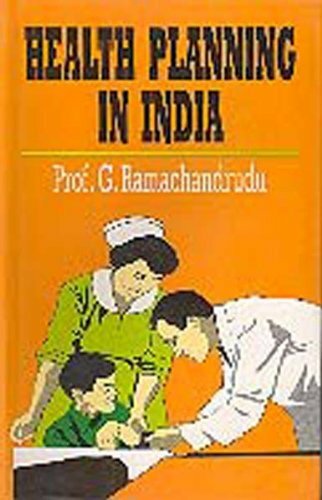 From Western Medicine to Global Medicine provides the first book-length account of the hospitalâ€™s emergence in Asia, Africa and other non-Western contexts. 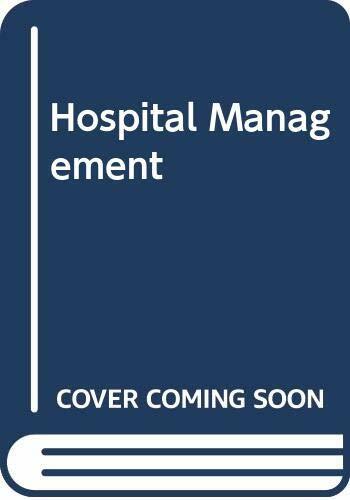 Its essays examine various facets of hospital medicine from eighteenth century onwards, including interaction with indigenous traditions of healing and with economic and political issues during the colonial and post-colonial periods. 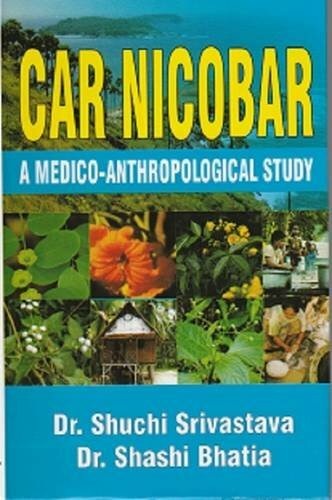 An introductory essay provides an overview of the varied trajectories of institutional development taking place outside Europe and North America, while the individual contributions-from historians, anthropologists and sociologists-provide important insights into the varied uses and forms which hospitals have taken in non-Western contexts. This interdisciplinary volume will provide an indispensable introduction to anyone seeking to understand the globalisation of Western medicine over the past century or so. It will be invaluable to historians seeking to place Western medicine within broad historical processes such as imperialism and modernisation, as well to those who seeks to know more about the peculiarities of specific contexts. 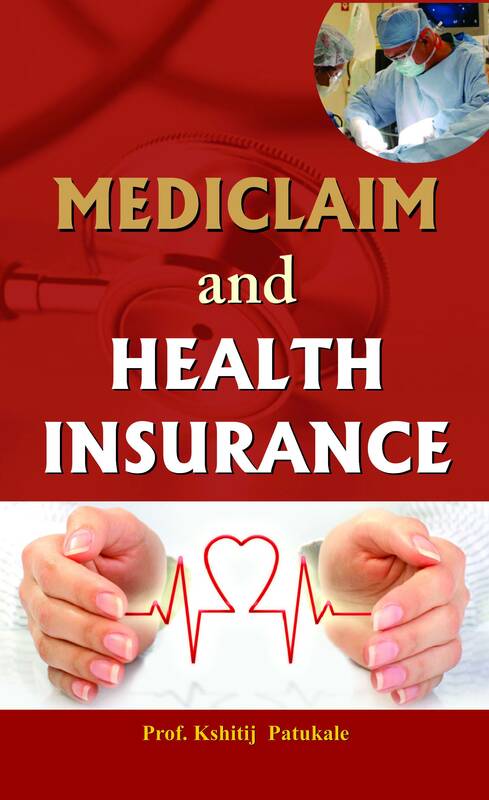 Analysts of contemporary medical policy and medical cultures will also find critical insights into the factors determining the nature and success of medical interventions. Every subject has its history, including the Social Determinants of Health. It is a subject that investigates differences in human health that occur because of social life, from income and class to family life and neighbourhood. Social determinants can have very large effects on longevity, just as do other determinants, such as the provision of medical care or clean drinking water. A Commission to study the social determinants of health and to propose ways of improving health based upon their analysis was therefore established under the auspices of the World Health Organization and chaired by Professor Sir Michael Marmot. In support of the work of the Commission, therefore, a large international meeting was organised in London in order to bring together some of the members of the Commission and several eminent historians to discuss the historical experience of people from around the globe. Because historians are among those who have tried to assess how social relationships have affected health, they can point to some determinants of health that others might miss, while historical investigations can in turn benefit from knowing what other analysts consider to be the most important social determinants of health. The result produced knowledge of importance to us all. Many of the arguments and evidence are therefore brought together here in one book, so that the work of the Commission and some of the debates it has prompted can be better known. This is the first volume of its kind to bring historical studies to the investigation of the social determinants of health from a global perspective. 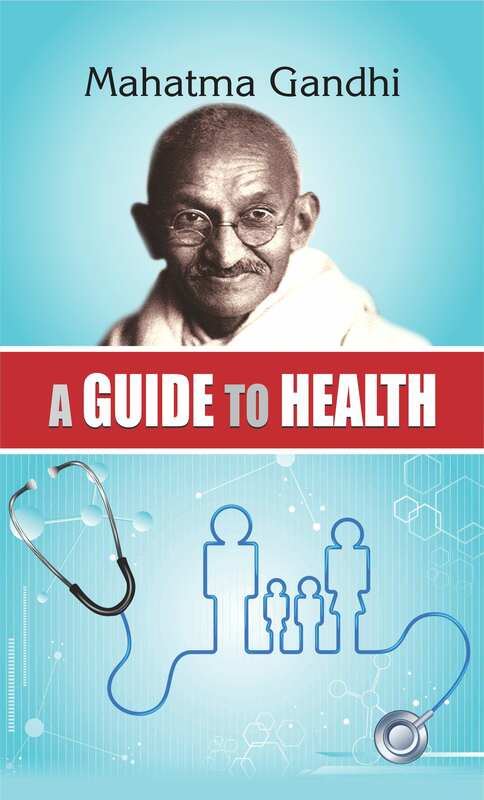 It brings together eminent historians of international health to explore an important and topical subject. The contributors summarise a large body of recent historical literature in order to make it useful for policy analysts. It includes a wide range of international examples. It also includes two chapters on different methods of taking oral histories, which is a central concern for anyone who is interested in examining the recent past. Weight reduction is often the first line of treatment in most medical conditions. Indians especially, need to change the way they eat if they are to tackle the increasing susceptibility to conditions such as obesity,diabetes and cardiovascular disease. 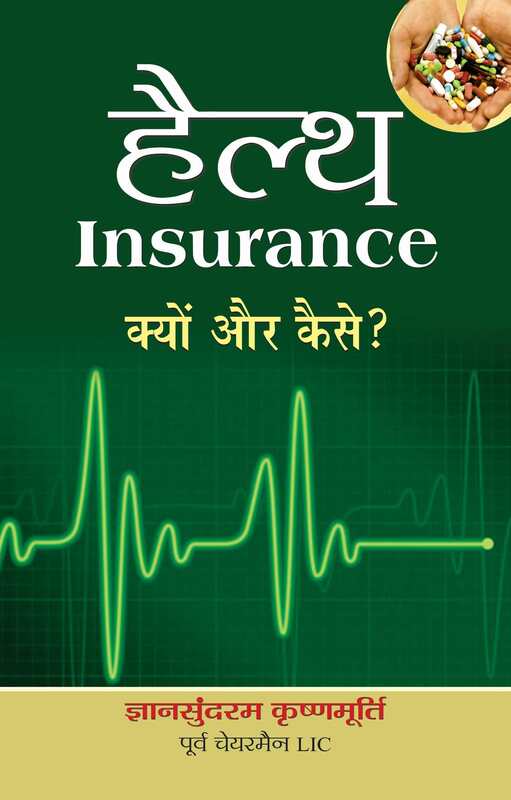 This book provides a complete health plan which is practical and easy to follow. It has been researched by a diabetologist,cardiologist and dietician, and combines some of the most recent findings in medical studies with a scientific conception of a healthy diet. The book makes for an intelligent and enjoyable reading and is a must for every home! This work provides a well rounded history of official smallpox measures and their links with the development of public health in policies and programmes in Brititsh India. It examines vaccination policy and technology from a political, economic and technical perspective as well as the cultural and religious implications of medical intervention in smallpox eradication. There is an exposition of the complex and sometimes contradictory official and civilian attitudes toward the development of smallpox control and public health measures in India. 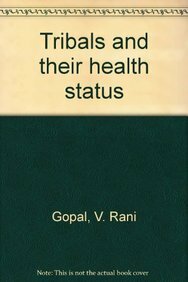 The study examines the twin issues of Western medicine and public health in Bombay during the years 1845â€“1895. The work is the first to explore in detail the complex interrelationship between government, municipality and individual philanthropists over the issues of Western medicine and public health measures. Click here to view New Perspectives in South Asian History Website. The priceless heritage of sight and the consequent value of any proved method of maintaining or restoring it by natural means, is in itself an ample justification for the publication of this book. It does not purport to be a treatise upon optics, nor should it be interpreted with undue criticism of orthodox methods. 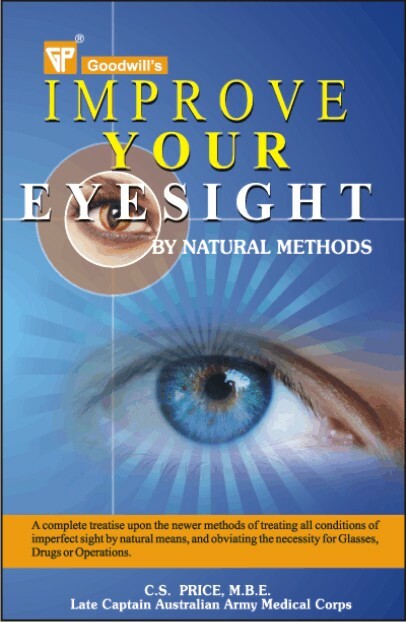 Rather it aims to give, in simple form, the actual principles and practice of the methods of Eyesight Training applied with outstanding success for many years by the author. Many patients continuously ask for some general instruction both for their own use, and which they can safely pass on to others, who, for various reasons, may not be able to obtain personal advice. This book will meet that need, for its instruction can be followed in all cases with perfect safety. 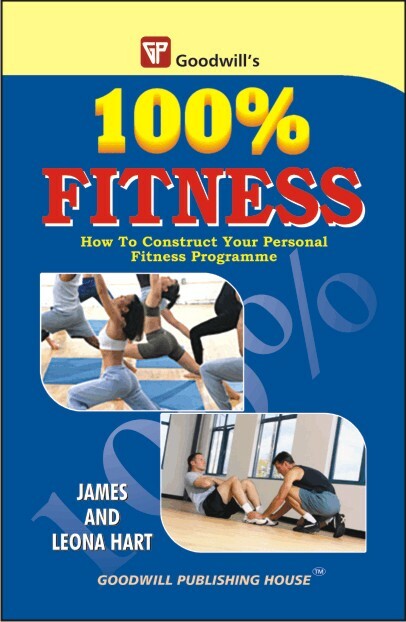 Physical fitness is a combination of several components- skill, strength, speed, stamina, suppleness, skinniness. Each requires its own form of training. 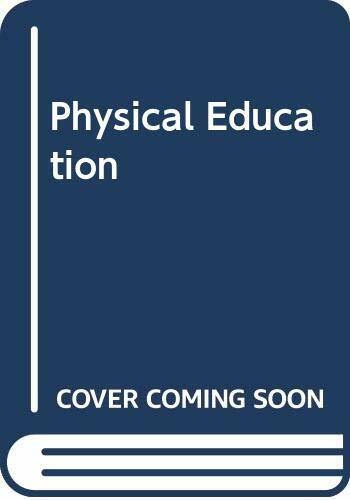 This book describes the basic principles and techniques in the three core training activities of running, circuit training and weight training, and points out how these develop different aspects of fitness. It also gives advice on diet, and the more common types of sports injuries. There are no frills and no magic formula. Fitness requires effort, which must be appropriate to the type of fitness that is required. The book is thus suitable for competitors, joggers, games players, and sports enthusiasts, who can all see exactly how their own sport or activity-fits in. 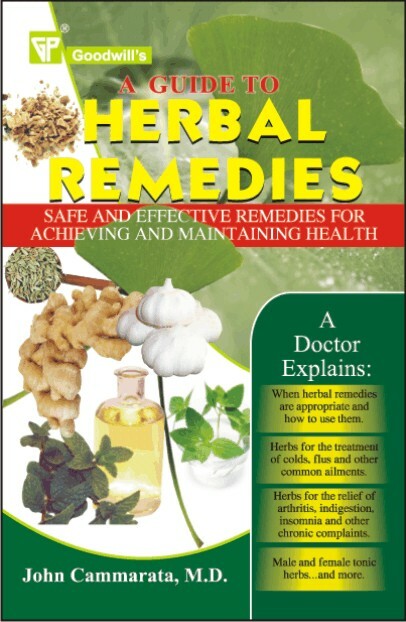 From herbal treatments for chronic ailments to tonic herbs that help healthy people feel their best each day, here are all the benefits of herbal medicine along with the guidance and advice of a medical doctor. 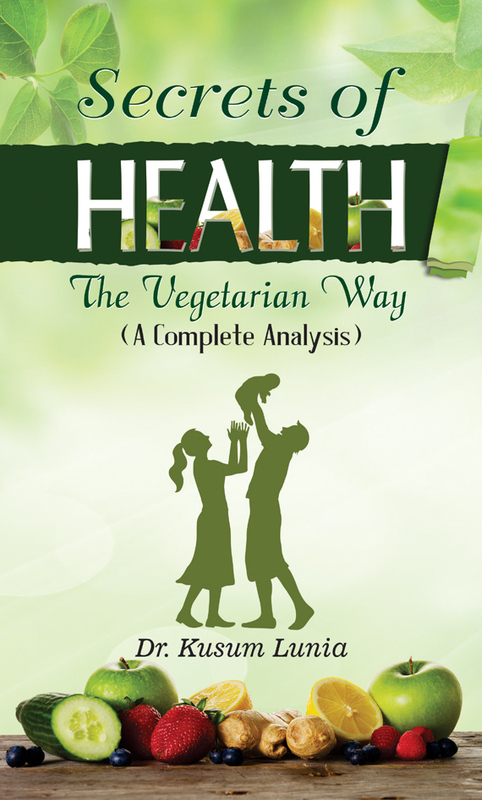 At a time when individuals are being called upon to empower and inform themselves about their health, this guidebook is a welcome addition to our resource list. It is sensible and informative. Health is wealth' is a well-known saying. If you are healthy, you can do miracles, but if you are unhealthy, you will find it difficult even to move two steps ahead. So, how to keep healthy? 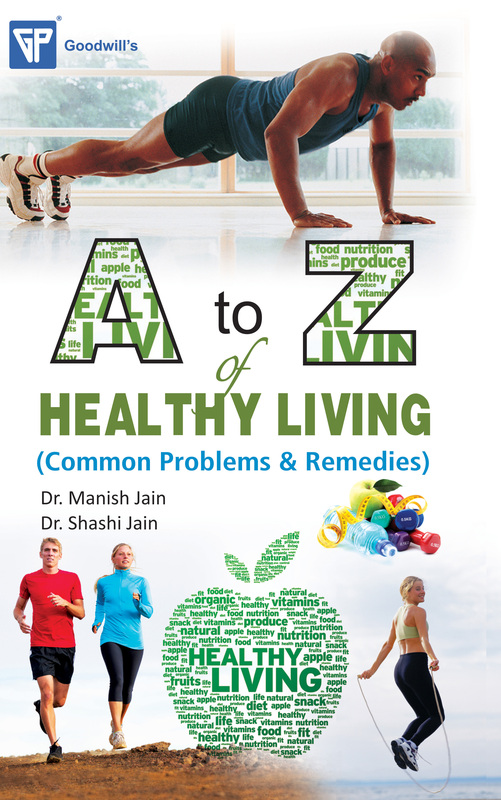 Dr. Manish Jain and Dr. Shashi Jain have authored the book A to Z of Healthy Living to answer this question. 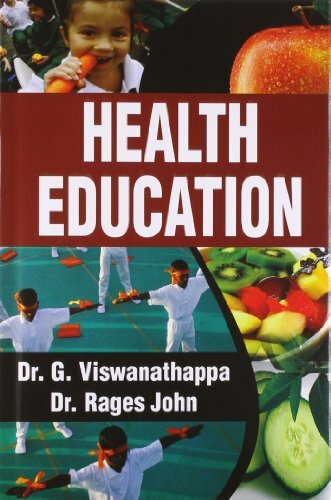 Read the book and keep your body healthy by following simple protocols. Stretching is one of the most useful exercises to stay fit and healthy. 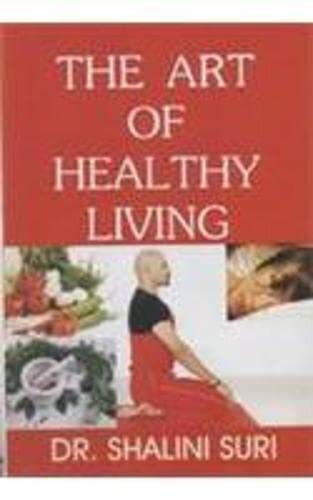 The book – Stretching for Fitness, Health & Performance, authored by Dr. Christopher A. Oswald and Dr. Stanley N. Baaceo – provides all the important and requisite information about the techniques of stretching so that one may gain all health benefits and keep many problems associated with sports, age or improper use of body parts away from oneself. 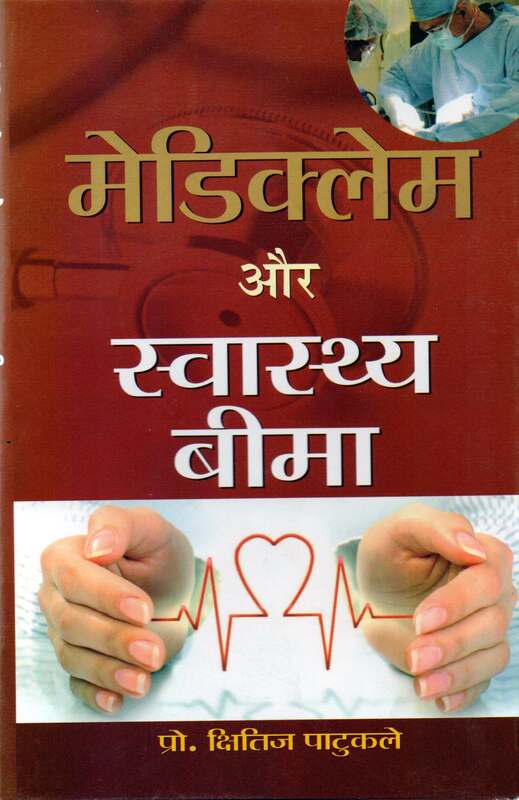 The book is a must read for all health – conscious people. 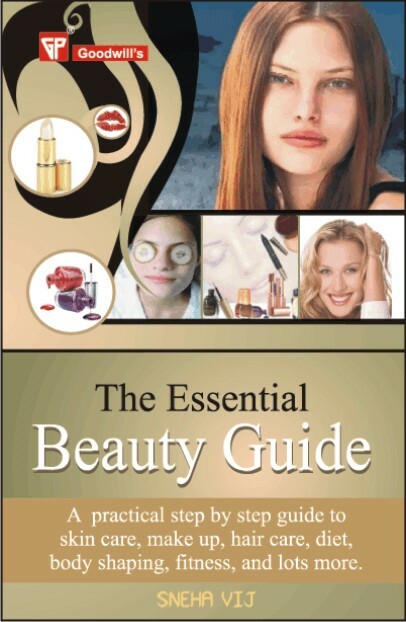 This is a handy reference book that expresses beauty philosophy in the most easy to understand manner. It is full of herbal beauty receipes and hundreds of fabulous beauty tips that will show you. How to make the best of what you've got. • Pinpoints beauty trouble spots in each section-Skin, Hair, Teeth, Nails, Make-up, Exercise and Diet. • Learn the best way to care for your skin according to skin type. • Practice the latest techniques and ideas for applying make-up. 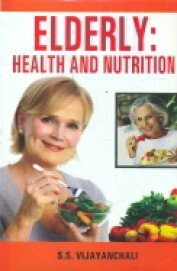 • Check out the basic nutrition and dieting tips that will keep your weight down and your spirits up. 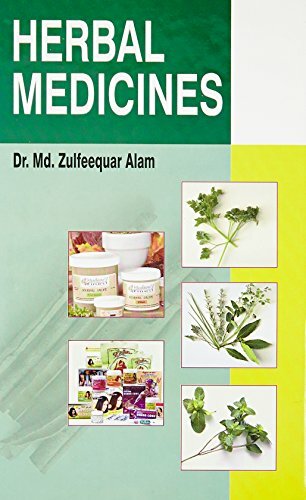 Thus you are deficiency going to go a long way with the help of this book not only in looking good but also in looking much younger than your actual age. Good health depends on many factors including high quality air, water, soil and food. As environmental problems increase, related health issues are also becoming a source of major worldwide concern. It is therefore essential to establish effective measures to eliminate or considerably reduce hazardous factors from the environment, measures highly dependent on the application of suitable experimental, modelling and interpretive techniques to achieve a balanced assessment of the risks involved. Covering the latest developments in this field, this book features edited versions of papers presented at the First International Conference on the Impact of Environmental Factors on Health (Environmental Health Risk 2001). The volume provides an easily accessible source of information on the interrelation between environmental risk and health which is often complex and can involve a variety of social, occupational and lifestyle factors. It also emphasizes the need to adopt an interdisciplinary approach in order to effectively recognize and avoid such problems. The contributions are divided under the following headings: Air Pollution; Water Supply and Quality; Waste Water and Surface Water Problems; Radiation and Noise; Microbial Risk; Population Health; and Solid Waste. As problems caused by environmental exploitation increase, related health issues are also becoming a source of major worldwide concern. Containing many of the papers presented at the Second International Conference on the Impact of Environmental Factors on Health, this volume includes contributions from a variety of different countries. These contributions report on studies carried out using modern scientific methodology in order to better understand, and try to eliminate or considerably reduce, hazardous factors from the environment and minimize associated health risks. A wide range of issues related to health risk are considered and the papers featured are divided into the following sections: Water Quality Issues; Air Pollution; Radiation Fields; Accident and ManMade Risks; Aral Sea Problems; Risk Analysis; Analysis of Urban Road Transportation Systems in Emergency Conditions. The efforts of modern civilization to create an environment to meet human aspirations have successfully resulted in constant improvements of our lifestyle, but at the cost of increased risks to human health due to deterioration of the environment. This situation has motivated many scientists throughout the world to analyze the environmental factors that can affect our health and to calculate the levels of risk. Risks that are found to be unacceptably high require immediate action. However, it is not always straightforward to estimate all possible scenarios and further research is needed. 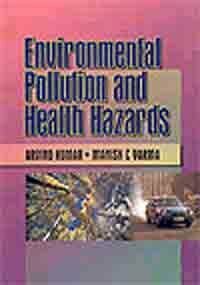 This book comprises a series of papers presented at the Third International Conference on the Impact of Environmental Factors on Health , divided into the following topic areas: Water Quality Issues; Air Pollution; Radiation Fields; Accident and ManMade Risks; Risk Analysis; Emergency Response; Food Contamination; Electromagnetic Fields; Noise Pollution; Housing and Health; Occupational Health; Chemical Risk Assessment; Remediation; Social and Economic Issues; Education; and Ecotoxicology Studies. Health problems related to the environment continue to be a major source of concern all over the world. Society needs to develop measures that will eliminate or considerably reduce hazardous factors from the environment that can result in health risk to humans. This interaction between environmental risk and health is usually complex and involves a substantial number of factors. This resulted in an interdisciplinary meeting in which diverse aspects of the impact of environmental factors in health were discussed. This book contains most of the papers presented at the Fourth International Conference on The Impact of Environmental Factors on Health (Environmental Health Risk 07). The Conference aimed to foster the development of better experimental and modelling tools to achieve the objective of decreasing environmental health risks to humans. How does your organization deal with environmental and social initiatives? · Does it undertake them in order to exploit market opportunities? · Does it quantify such initiatives as part of a sound business strategy? · Does it quantify their economic opportunities and benefits, e.g. better reputation, increased revenues? · Does it quantify their costs, e.g. upfront investments?  · Does lack of relevant data prevent it from undertaking them? Good environmental and social practices can generate benefits besides higher profits – competitive advantage and market positioning, easier recruitment and retention of employees, better relations with investors and access to capital, increased learning and innovation, and reduced risks. This book shares how organizations can make a difference to the environment, human health, and their bottom lines. Although the focus is on corporations, every chapter is relevant to civil society, and governmental and nongovernmental organizations, which are interested in the environment and human health, and in taking action. It presents anecdotal, practical, and statistical evidence linking action on the environment and health with financial performance. Health problems related to the environment have become a major source of concern all over the world. The health of the population depends upon good quality environmental factors including air, water, soil, food and many others. The aim of society is to establish measures that can eliminate or considerably reduce hazardous factors from the human environment to minimize the associated health risks. The ability to achieve these objectives is in great part dependent on the development of suitable experimental modelling and interpretive techniques that allow a balanced assessment of the risk involved, as well as suggest ways in which the situation can be improved. Environmental Health Risk 2009 is the Fifth International Conference in this successful series and the topics covered include Air pollution; Water and soil quality issues; Risk prevention and monitoring; Ecology and health; Food safety; Toxicology analysis; Occupational health. Recently, there has been a disturbing increase in the number of natural disasters affecting millions of people, destroying property and resulting in loss of human life. These events include major flooding, hurricanes, earthquakes and many others. Today the world faces unparalleled threats from humanmade disasters that can be attributed to failure of industrial and energy installations as well as to terrorism. Added to this is the unparalleled threat of emerging and reemerging diseases, with scientists predicting events such as an influenza pandemic. This volume contains papers from the First International Conference on Disaster Management and Human Health Risk: Reducing Risk, Improving Outcomes, covering the following topics: Emergency preparedness and risk mitigation; Natural disasters; Analysis, monitoring and mitigation of natural and manmade disasters. This book contains papers presented at the second International Conference on Disaster Management held in 2011 in Orlando, Florida following the success of the first meeting held at the Wessex Institute of Technology in the New Forest, UK. Florida is no stranger to the increasing number of natural disasters affecting millions of people around the world, having periodically suffered the ravages of hurricanes, with a recent disastrous sequence of four hurricanes delivering devastating blows to the State from both Gulf and Atlantic coasts in 2004. Most recently, Florida’s economy was seriously affected by the Deep Horizon oil spill in the Gulf of Mexico in spite of its coastline being mostly spared from any major damages. The 2011 Disaster Management Conference has attracted outstanding contributions from researchers throughout the world. The collected works, published in this book, reflect the excellent work of all contributing authors and the care taken by the Scientific Advisory Committee and other colleagues in reviewing the presentations. Topics covered include: Disaster Analysis, Monitoring and Mitigation; Emergency Preparedness; Risk Mitigation; Surveillance and Early Warning Systems; SocioEconomic Issues. This book contains most of the papers presented at a meeting held in Riga on two important topics, i.e. the study and modelling of Environmental Health Risk and Biomedical problems. The field of environmental health is defined by the problems faced and by the specific approaches used. These problems include, amongst many others, the treatment and disposal of liquid and airborne wastes, the elimination or reduction of stresses in the workplace, purification of water supplies, the impacts of overpopulation and inadequate or unsafe food supplies, and the development and use of measures to protect hospital and other medical workers from being infected with a variety of diseases. Related topics included in the first part of this volume deal with sessions on environment problems such as air and water contamination; health effects associated with buildings, toxicology and disease studies. Of special interest are the papers on food safety and occupational hazards. The contributions also include research presentations on risk prevention and monitoring. 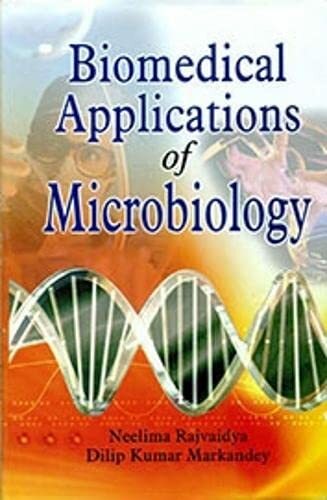 The second part of the book deals with the development of computational tools for the solution of medical and biological problems. The use of mathematical ideas, models and techniques is rapidly growing and is gaining prominence through the biosciences. Studies are presented on the solution of physiological processes and the very important case of the simulation of cardiovascular systems. One of the most successful areas of bioengineering has been biomechanics and orthopaedics, which are topics studied in several of the papers contained in the volume. The book ends with a section on data acquisition and analysis. This book is aimed at scientists and engineers working in the challenging area of biomedicine and health. It comprises a series of state of the art presentations which describe some of the many advances made in these fields. System identification (SI) techniques play an important role in investigating and reducing gaps between the constructed structural systems and their structural design models, and in structural health monitoring for damage detection. A great amount of research has been conducted in SI. Modalparameter SI and physicalparameter SI are two major branches in SI. The former is appropriate for identifying the overall mechanical properties of a structural system and exhibits stable characteristics in implementation. While the latter is important from different viewpoints, e.g. enhancement of reliability in active controlled structures or baseisolated structures, its development is limited due to the requirement of multiple measurements or the necessity for complicated manipulation. A mixed approach is often used in which physical parameters are identified from the modal parameters obtained by the modalparameter SI. However, a sufficient number of modal parameters must be obtained for the unique and accurate identification of the physical parameters. This requirement is usually hard to satisfy. In spite of the importance of damping in the seismicresistant design of buildings, it does not appear that identification techniques have been developed sufficiently. Furthermore, it is believed in general that the acceleration records in all the floors above a specific story are necessary to evaluate the story shear force, which is required in the stiffness–damping evaluation. This instrumentation may be unrealistic in multistoried buildings. To overcome this difficulty, a unique system identification theory is explained for a shear building model. It is shown that unique identification of story stiffness and viscous damping coefficients is possible when acceleration records at the floors just above and below a specific story are available. This book is the first text book on smart techniques of mechanical system identification using records from limited locations. 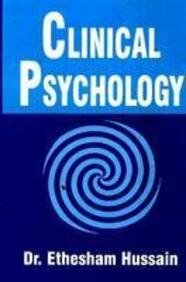 The techniques explained in this book are based upon rich content published in international journal papers by the authors and includes an introductory explanation for a broad class of readers. Environmental Health Risk VII contains contributions presented at the Seventh International Conference on the Impact of Environmental Factors on Health. The successful biennial series began in 1997 and covers health problems related to the environment, which are causing increasing concern all over the world. Important to the public health is Society’s ability to ensure good quality air, water, soil, and food and to eliminate or considerably reduce hazards from the human environment. That ability greatly depends on the development of techniques, both modelling and interpretive, that allow decisionmakers to assess the risk posed by various factors and to propose improvements. 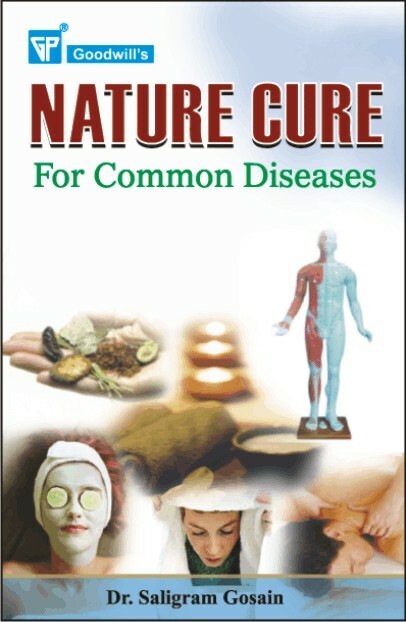 The book covers such topics as: Risk prevention and monitoring; Mitigation problems; Disaster management and preparedness; Epidemiological studies and pandemics; Control of pollution risk; Air pollution; Water quality issues; Food safety; Radiation fields; Toxicology analysis; Ecology and health; Waste disposal; Occupational health; Social and economic issues; Accidents and manmade risks; The built environment and health; Designing for health; Contamination in rural areas; Environmental education and risk abatement. An increasing number of largescale natural disasters have affected millions of people in recent years. Major earthquakes, floods, And hurricanes, have caused great destruction of property and loss of life, while forest fires, pipeline failures, and bombings have created equally devastating affects on a smaller scale. The increased threats are the topic of the Third International Conference on Disaster Management and Human Health Risk, convened so that experts on public health, security, and disaster management could share information. 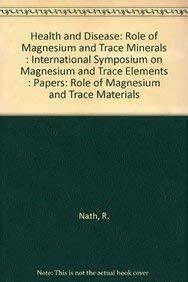 This book contains the papers presented at the conference. Topics covered include Disaster analysis; Disaster monitoring and mitigation; Emergency preparedness; Risk mitigation; Risk and security; Safety and resilience; Socioeconomic issues; Biological threats; Learning from disasters. As human population has continued to concentrate in urban areas, the number of people and the value of property affected by disasters, both natural and humangenerated, have grown as well. Earthquakes, floods, hurricanes, cyclones, tornadoes, and forest fires have all taken their toll so have such anthropogenic disasters as pipeline failures, industrial spills, and terrorist attacks. The contents of this volume consist of papers presented at the fourth in a series of conferences convened to assess the potential risk from various disasters and discuss ways to prevent or mitigate damage. The papers have been contributed by experts on public health, security, and disaster management from academia, industry, and government. Topics covered include: Disaster Analysis; Disaster Monitoring and Mitigation; Emergency Preparedness; Risk Mitigation; Risk and Security; Safety and Resilience; Socioeconomic Issues; Health Risk; Human Factors; Multihazard Risk Assessment; Case Studies. The contents of this book consist of papers presented at the 5th International Conference on Disaster Management and Human Health: Reducing Risk, Improving Outcomes, part of a series of conferences convened to assess the potential risk from various disasters and discuss ways to prevent or alleviate damage. These latest developments, contained in this volume, have been contributed by academics and experts on public health, security and disaster management in order to exchange knowledge and experience on the way to handle the increasing risk of natural and humanmade disasters. As the human population has continued to concentrate in urban areas the number of people and the value of property affected by both natural and manproduced disasters has also grown. Earthquakes, floods, hurricanes, cyclones, tornadoes and forest fires have all taken their toll, as have manmade catastrophes such as industrial spillages and terrorist attacks. The included paper cover various subject areas, including: Disaster analysis; Disaster monitoring and mitigation; Emergency preparedness; Risk mitigation; Risk and security; Resilience; Socioeconomic issues; Health risk; Human factors; Multihazard risk assessment; Case studies; Learning from disasters and manmade disasters. Emotions and Health, 1200-1700 examines theological and medical approaches to the ‘passions’ as alterations affecting both mind and body. It focuses on sorrow, fear and anger, on constructions of the melancholic subject, and on the effects of music on health. In Health and Ritual in Morocco, J. L. Mateo Dieste analyzes the many notions of the body in contemporary Morocco and shows how a rich universe of healing systems and rituals conforms to social and historical power relationships. Brings together research on different types of writing and distance writing that have been, or need to be, used by mental health professionals. This title also critically evaluates the therapeutic effectiveness of these writing practices, such as automatic writing, programmed writing poetry therapy, diaries, expressive writing and more. The Thirty years since China’s reform and opening have been very eventful for the country in in the areas of sexual and reproductive health, and this volume presents a multi-disciplinary look at the current scholarship going on in China on the subject, translated into English to assist scholars worldwide in understanding China’s recent history.